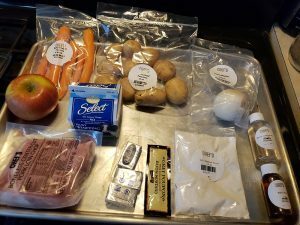 I tried a meal kit the other night. 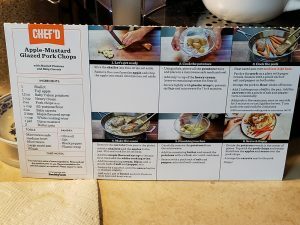 At the grocery store, they had a case with some meal kits from Chef’d and I bought two to try. One with pork chops and one with flank steak. 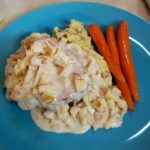 The Pork one was Apple-Mustard Glazed Pork Chops with Mashed Potatoes and Baby Carrots. 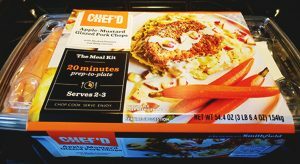 The packaging was clean and bright, easy to see what was inside. The final product. 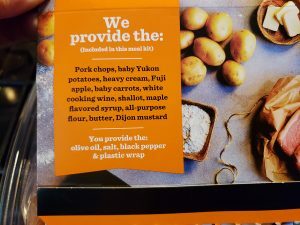 The recipe and instructions are under the wrapper. What’s included and what I need to provide. The plastic divided case. 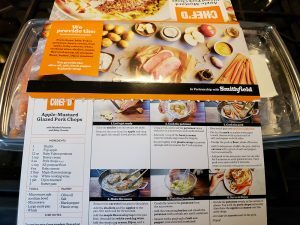 Everything laid out on a sheet pan. 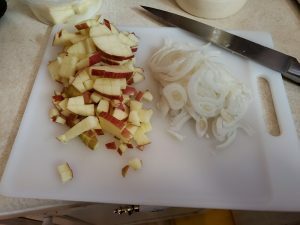 The recipe/instruction card.ch Chopped apple and onion. 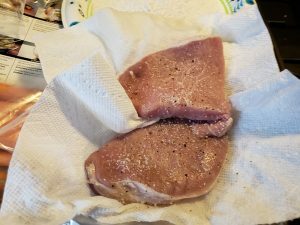 Pork chops patted dry with salt and pepper. 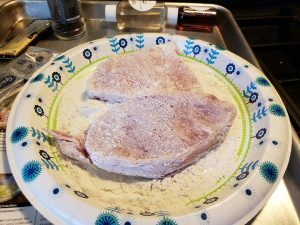 Pork chops dredged in flour. 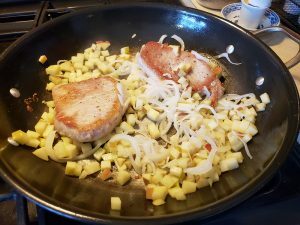 In the pan, seared, with apples and onions, pre-sauce. 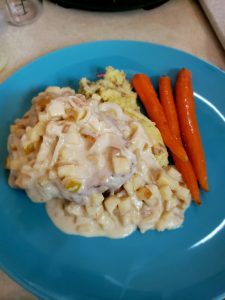 Final product plated. 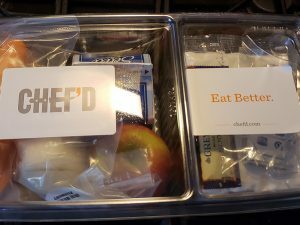 It was pretty easy to follow the instructions and prepare the meal. I would certainly recommend reading the instructions through at least once and maybe twice before attempting it. I bought this on my own and was not compensated for it in any way.